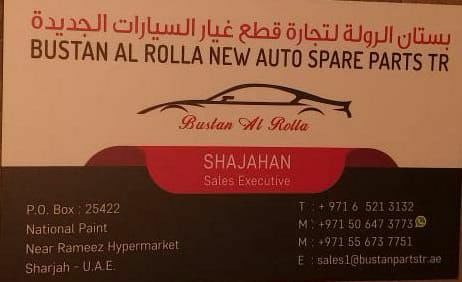 We; BUSTAN AL ROLLA NEW AUTO SPARE PARTS TR. P.O.Box: 25422, Near National Paints Rameez Hypermarket, Sharjah provide brand new genuine Auto spareparts as well used auto spare parts on request. We are pleased to deal with local auto sparepart dealers in UAE as well auto spare parts importers in Sultanate of Oman.